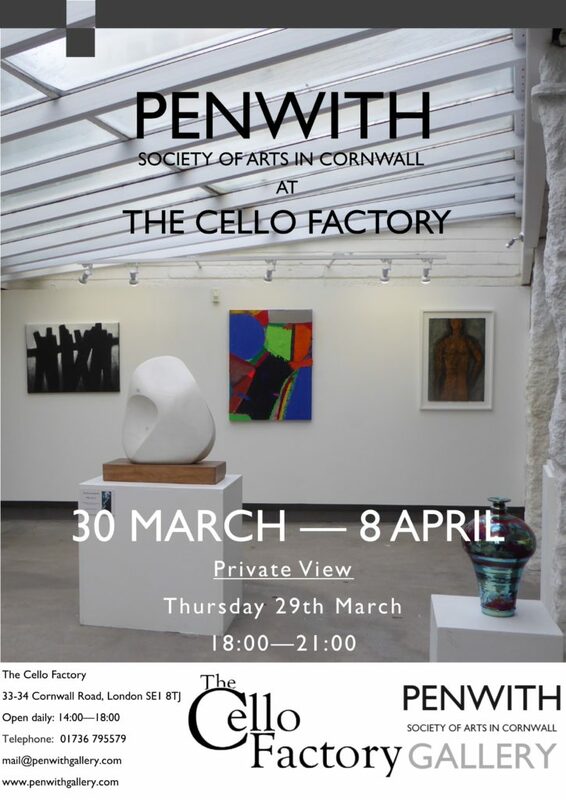 Members to exhibit at The Cello Factory, London. 30th March – 8th April. The Cello Factory is a stunning, large, double-height space showing British and International artists. Close to Waterloo Station and mid-way between the National Theatre and The Old Vic, The Cello Factory could not be more convenient to visit. Thanks to The London Group and The Cello Factory, Members will be exhibiting in this exciting space!